After a particularly rebellious morning involving blue hair dye, a brand new nose piercing and the purchase of a pair of black leather platform boots, I found myself in the parlour of rather dingy tattoo studio. Flicking through pages of garishly coloured rose and skull designs, the mix of exhilaration and shame within my stomach soon proved too overwhelming, and I ducked out of the store. They say a picture is worth a thousand words, especially when it’s an indelible one on your body. 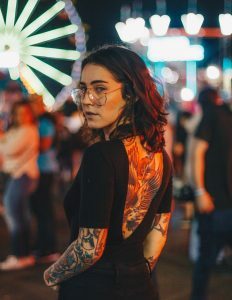 From the flamboyant designs of the fin de siècle ‘circus freaks’ to the sprawling technicolour cherry blossoms of the Yakuza, tattooing is an ever-evolving, enigmatic and fascinating art form. In the mid nineteenth century, tattoos were the fodder of carnival “freak” shows; sticky, popcorn covered children and their incredulous parents would flock to the circus to gawk at the ‘Amazing Tattooed Lady’. Briefly in vogue, ethnic tattoos among the late nineteenth-century upper-class symbolised great travel and worldliness on the part of the bearer. In the early twentieth century, tattoos were associated with the Navy and were not stigmatised. 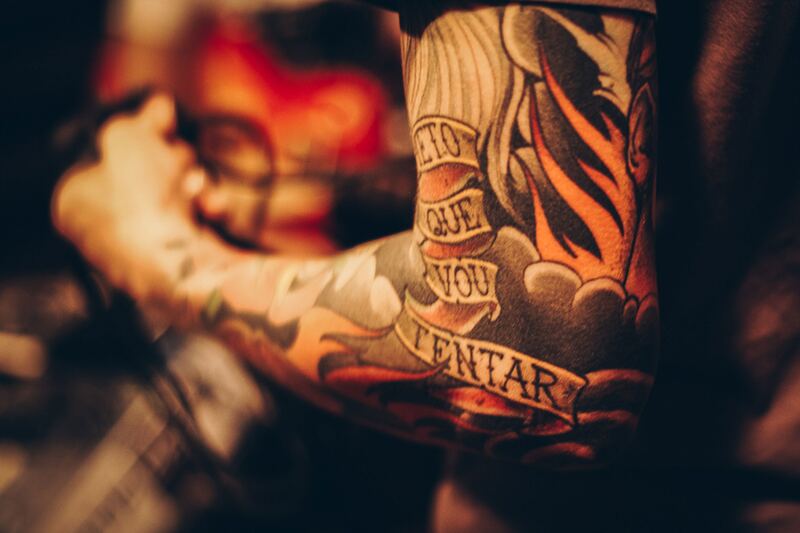 During the 1950s however, tattoos became associated with the criminal sphere, being seemingly indicative of outlaw bikers, social outcasts and the mentally ill. The ‘tattoo renaissance’ of the 1970s was due in part to improved hygiene regulation and the popularity of Polynesian and so-called “oriental” designs amongst the free spirited, flower power hippies. Once a blatant sign of rebellion and counterculture, inked skin now meets our eyes at every turn, on professional athletes, Hollywood’s darlings and even the odd university professor. Worn as an expression of integrity, Maori identity and prestige, whakapapa and history, ta moko is encapsulates one’s tapu, or spiritual being. Declining during the 20th century, ta moko has been revived as an important art form in recent times, worn as an expression of cultural pride and integrity. In my opinion, ta moko is an exceptionally beautiful and intricate art form that deserves recognition and respect for its cultural significance. 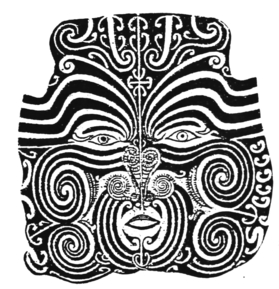 Self-portrait by Te Pehi Kupe. Wikimedia Commons. Tattoos therefore are historically perceived as the embodiment of a person’s inability to conform to the prevailing social norms, values and beliefs, as exemplified by the history of Tahitian tattoos. Prior to the colonisation of Tahiti, tattooing was a means of manipulating the level of tapu, or noa, that divided society, allowing individuals from different genders, age and classes to interact. With the arrival of missionaries in the 1880s, tattooing became denigrated and ultimately prohibited. This art form lay dormant until the cultural revitalisation movement of the late 20th century, when it became a form of expressing a connection with the traditional culture. 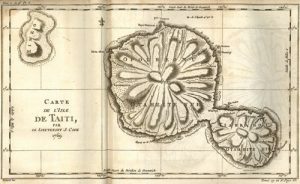 Indeed, many Tahitians proudly reappropriated the tattoo as a symbol of “otherness” and defiance of French Colonialism. Tahiti 18th century map. Wikimedia commons.